Lightning is both fascinating and terrifying, especially for boaters. Viewed from a safely grounded home or vehicle, watching a lightning storm is like watching nature’s fireworks. However, if you’ve ever had the misfortune of being caught miles from land out on the water in a bad lightning storm, it’s probably one scary experience you’ll never forget. 1. What Is Lightning and Thunder? Thunder is caused by the nearly instantaneous heating during lightning’s “return stroke” when the air explosively expands, producing a powerful shock wave. Energy from a lightning channel heats the air to around 18,000 degrees Fahrenheit. The stepped leader causes the initial tearing sound that we hear, and the ground streamer causes the sharp click or crack heard at a very close range, just before the main rumble of thunder. So, when we hear “thunder” we’re basically hearing the air around the lightning being torn, vaporized, superheated and expanded. 2. Is All Lightning the Same? CG – Between a cloud and the ground (CG). Cloud-to-Ground (CG) lightning is the most studied and best understood of the three types of lightning, but IC and CC lightning are far more common. (CG) lightning only accounts for about 25% of all total lightning flashes worldwide. 3. How Many People Get Killed By Lightning Each Year? Roughly 24,000 people are killed by lightning strikes around the world each year, and about 240,000 are injured. According to the NOAA, an average of 51 people die per year from lightning strikes. While this isn’t a huge number, it means lightning strikes are the #2 weather killer. Floods are #1. 4. Do Most People Who Get Struck By Lightning Die? No, in the US 90% of people who are struck by lightning live. A person injured by lightning does not carry an electrical charge, and can be safely given CPR, touched or given first aid immediately after they’ve been struck by lightning. 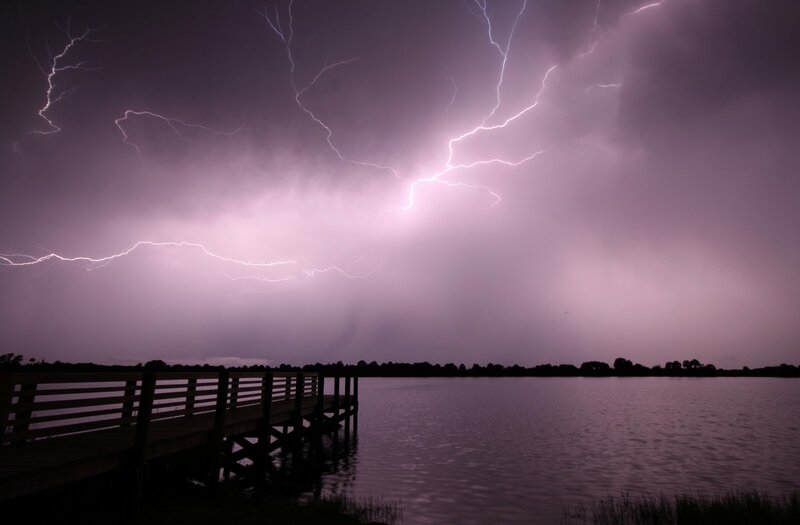 Lightning can affect the brainstem, which controls breathing and other basic functioning, so if a lightning strike victim appears lifeless, it is important to begin artificial resuscitation as soon as possible to prevent death by suffocation. 5. Has Anyone Survived Multiple Lightning Strikes? Yes. Roy Sullivan, a US park ranger in Shenandoah Virginia, USA, has survived 7 lightning strikes over the course of 35 years. This Guinness World Record has earned him the nickname “The Human Lightning Rod.” Even though Roy hasn’t died from being struck by lightning, he has suffered other bodily injuries, including losing a nail on his big toe! 6. What Are My Chances of Being Struck By Lightning? Unless you’re Roy Sullivan, your risk of being struck by lightning is low. Your odds of being struck over the next year of your life are somewhere between 1/750,000 and 1/500,000. If you live to be 80 years old, the odds you’ll be struck by lightning sometime in your lifetime are 1/6,250. 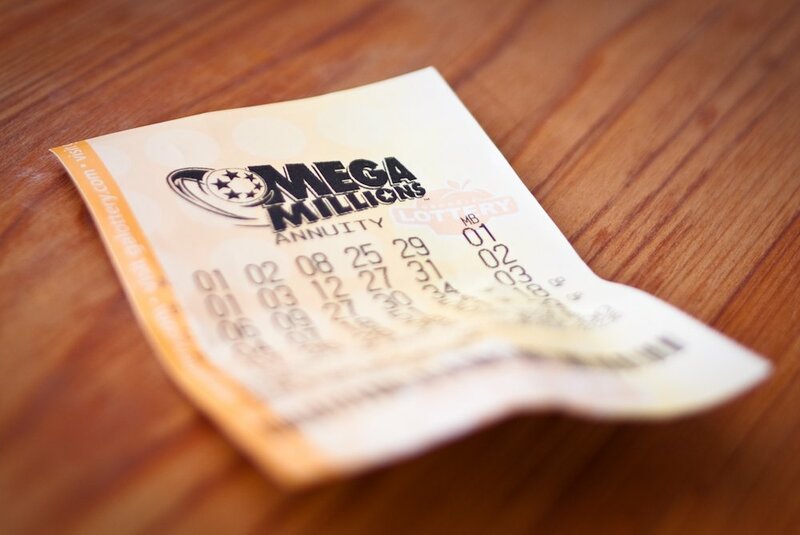 So, you’re much more likely to be struck by lightning than you are to win that lotto jackpot. 7. Can Lightning Happen When It's Sunny Out? Yes. Often called “bolts from the blue,” the most powerful type of lightning is “positive lightning,” although it only accounts for about 5% of all lightning. A positive lightning bolt can strike anywhere within several miles of the “anvil” of a thunderstorm, often in areas experiencing clear or only slightly cloudy skies. A bolt of positive lightning may carry an electric current twice as powerful as negative lightning (300 kA versus 150 kA). 8. How Far Away Can I Hear Thunder? 25 miles is the furthest distance from its point of origin that you can hear thunder. It is possible to measure how far away you are from a lightning strike using very simple math. The National Lightning Safety Institute (NLSI) recommends using the “Flash to Boom” method. Lightning and thunder happen at the same time, but the speed of light is about 1 million times faster than the speed of sound, so you see the lightning before you hear it. To use the Flash to Boom method, count the seconds between the lightning flash and the time that you hear thunder. Divide the seconds by 5 to determine how many miles away you are from lightning (or divide by 3 to determine the distance in kilometers). For instance, if you see a flash of lightning and are able to count to 15 before you hear any thunder, the lightning strike took place 3 miles away from you (or 5 kilometers). 9. How Many Times Per Year Does Lightning Strike and Is It More Common In Certain Locations? According to the National Lightning Detection Network, Cloud-to-Ground lightning over the continental U.S.happens an average of 20 million times per year. Across the globe, lightning strikes the ground about 100 times each second, or 8 million times a day. Warm tropical, coastal regions of the world experience the more lightning (as you can see from the photo below). In the US, the highest frequency of cloud-to-ground lightning takes place in the areas in and between Tampa and Orlando, Florida. The highest frequency of lightning strikes on the planet take place near the mountain village of Kifuka in the Democratic Republic of the Congo. This area gets 253 lightning strikes per square mile per year. Yikes! 10. How Can I Be Prepared For Lightning When Boating? Stay away from the water and try not to touch any wet items (wet ropes and towels) or metal objects (fences poles or electronic devices). Water and metal are excellent conductors of electricity. Avoid open fields, the top of a hill or a ridge top. Stay away from tall, isolated trees or other tall objects. If you are in a forest, stay near a lower stand of trees. Once the storm has passed, wait 30 minutes after the last rumble of thunder before going back out on the water in your boat.